Leading Indian tyre manufacturer CEAT Ltd today announced the introduction of 155 D12 size in the new Mile XL series. 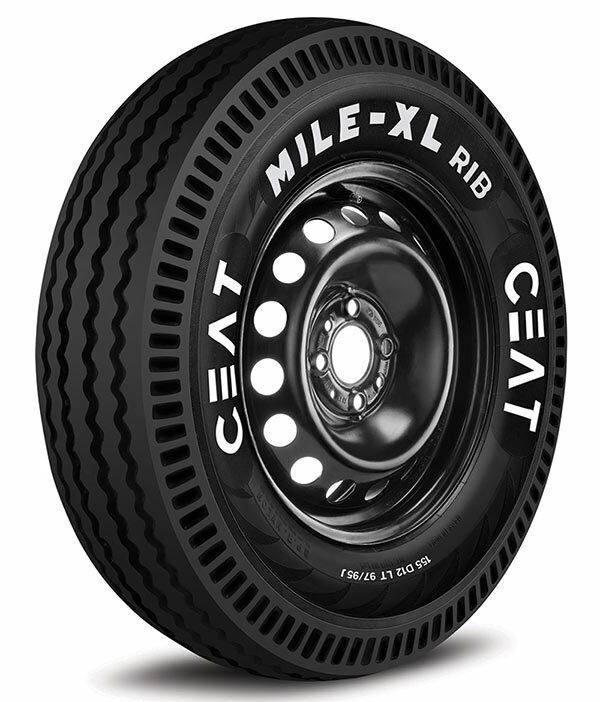 Available with all leading CEAT dealers pan India, 155 D12 Mile XL Rib is yet another unique addition to the existing range of tyres that aims to cater to the requirements of users in the small commercial category. The 155 D12 Mile XL Rib has stiffer sidewalls and higher mileage performance in overload conditions. 155 D12 Mile XL Rib has continuous shoulder rib which helps in a longer life and better retreadability of tyres. With its sturdier crown and ETC (Equal Tension Casing) Technology, Mile XL Rib tyres ensure cooler running at high speeds, offering high load capacity. A premuim offering from CEAT’s small commercial vehicle category, 155 D12 Mile Xl Rib tyres are designed for front fitment for vehicles like TATA Ace and Mahindra Maxximo. With all its advanced features, we are confident that 155 D12 Mile XL Rib will cater to the requirements of our customers operating their business through small commercial vehicles. Our commitment is to ensure that our premium offering is made available to customers pan India through all leading CEAT dealerships.